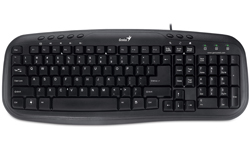 The new generation multimedia keyboard from Genius, KB-M200 is designed to accomplish your media activities with enjoyment and ease. 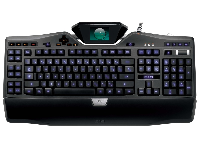 The low-profile keycap structure provides maximum typing comfort; and there are eight hot keys for media control and Internet usage. 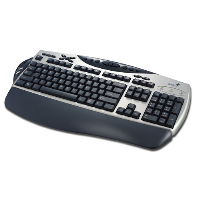 The Genius Comfy KB-21e Scroll is an innovative Office-Internet keyboard with 21 "One Touch" keys. 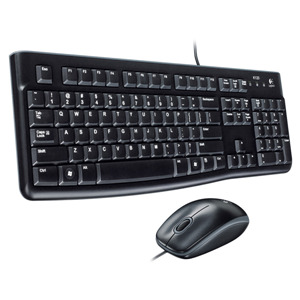 The 125/126/127/128/130 key compatible layout includes instant access to multimedia, Internet, E-mail, my computer and calculator functions. Also includes a comfortable palm rest to give your hands better typing posture. 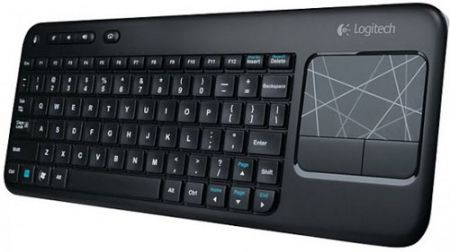 The Logitech K400 Wireless Touch keyboard for lean-back wireless control of your laptop—even when you’re connecting it to your TV. You can control your laptop from the comfort of your couch thanks to the 10-meter (33 feet) wireless range. A large, built-in touchpad with multi-touch navigation lets you point and scroll your way around the Web. No cords, software or hassles. 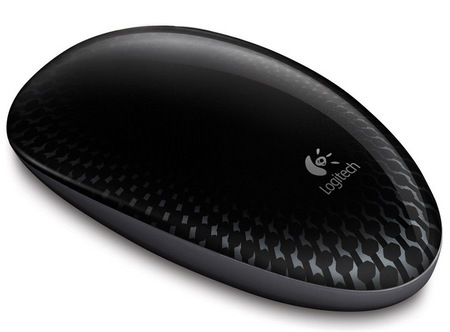 Just plug the tiny Logitech Unifying wireless receiver into a USB port and enjoy. When you’re gearing up for battle, you never compromise. Not on your team, not on your weapons, and certainly not on your hardware. If you take your gameplay seriously, you want the Logitech® G19 on your side. 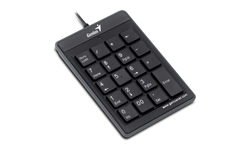 Numpad i110 is a new Genius USB numeric key pad that is ideal for use at home or in the office. The slim classic design offers your hand great typing posture. The Apple-like keycaps provide a soft and comfortable typing feedback and are a perfect complement to your notebook for anyone working on spreadsheets, accounting or financial applications. The Genius DX-220 uses next generation BlueEye Tracking technology to let you work just about anywhere whether it be dusted glass, marble, sofa or carpet. 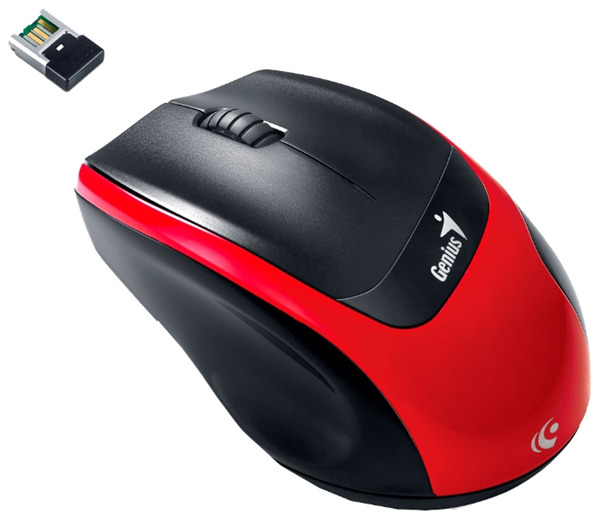 Genius introduces a new wireless BlueEye mouse – DX-7020. It’s an ultra-portable compact design for your on-the-go lifestyle. Comfortably use your computer in more places than ever before, like on granite countertops or carpets, by relying on BlueEye technology in the DX-7020. Make a style statement at your desk or on the go with the sleek, smooth design. Enjoy a wide array of features to get more done. The Pico receiver can be stored in the mouse body and makes it easy to pack and go. The Stick-N-Go mount keeps your mouse in safe condition when you’re moving around. To save on battery purchases the DX-7020 is designed to use only one AA battery and a power switch is added to extend the battery life. 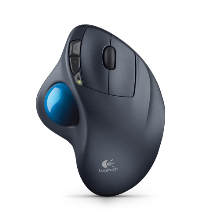 Logitech® Unifying receiver—the tiny, wireless receiver that stays in your laptop and lets you add compatible devices as you need them. 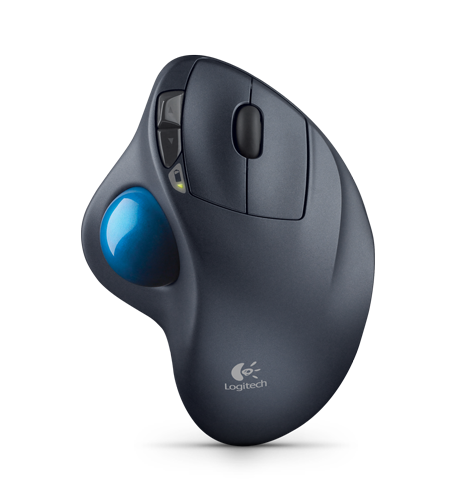 With up to 18 months of use from a single AA, you might just forget your trackball uses batteries at all. Scrolling, swiping, and surfing that’s like second nature—thanks to the responsive touch surface and smooth-as-smartphone scrolling.